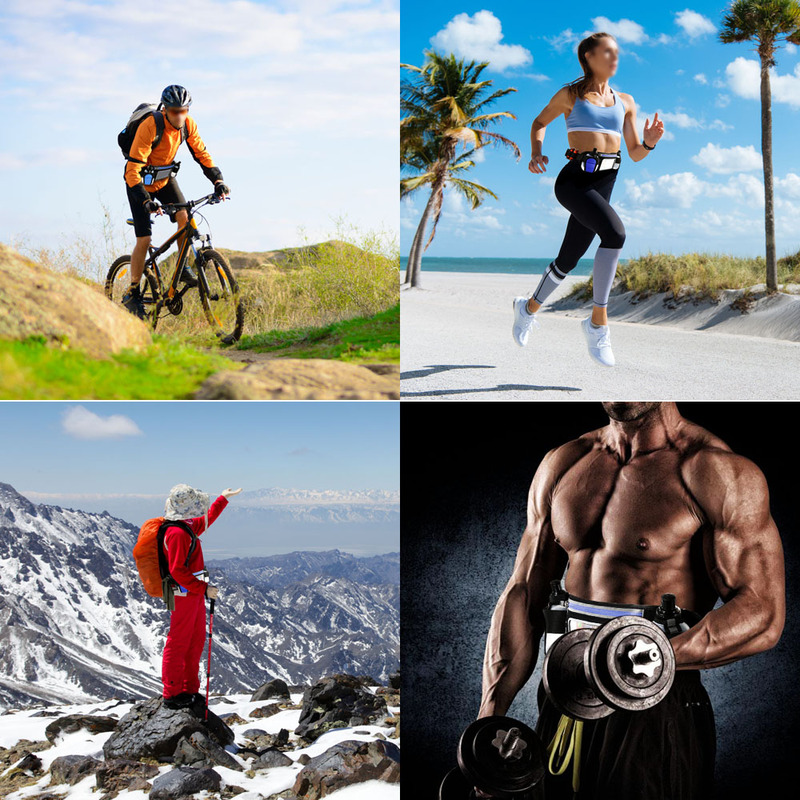 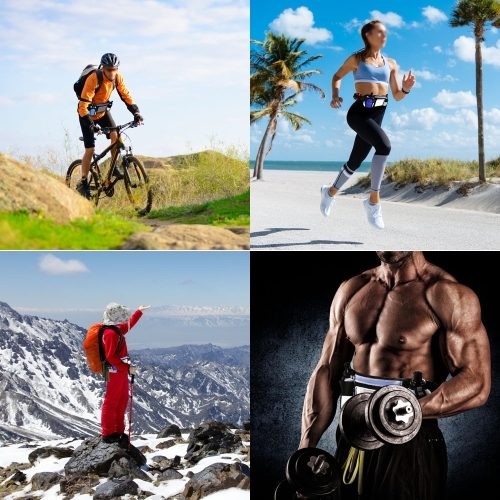 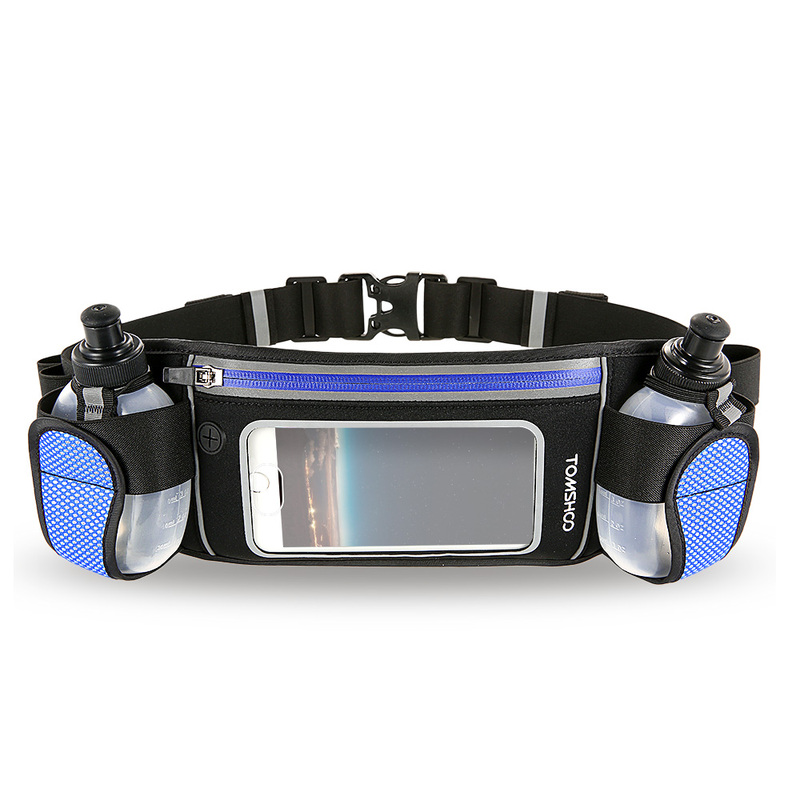 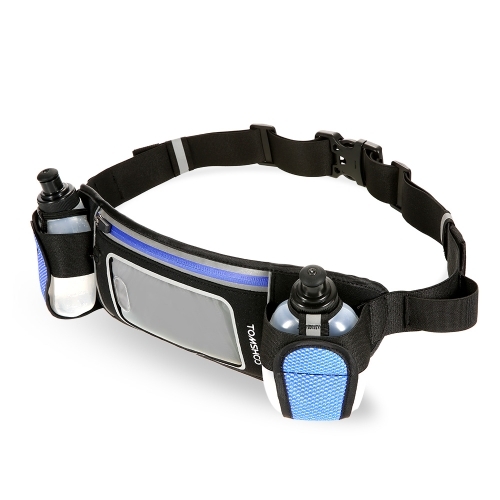 Still looking for a hydration belt for your outdoor activities? 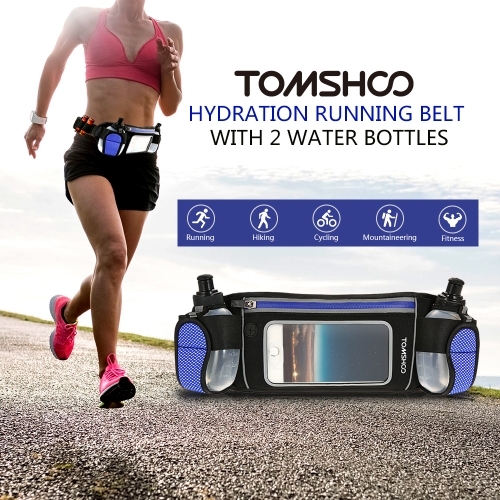 TOMSHOO Hydration Running Belt is the right one for you. 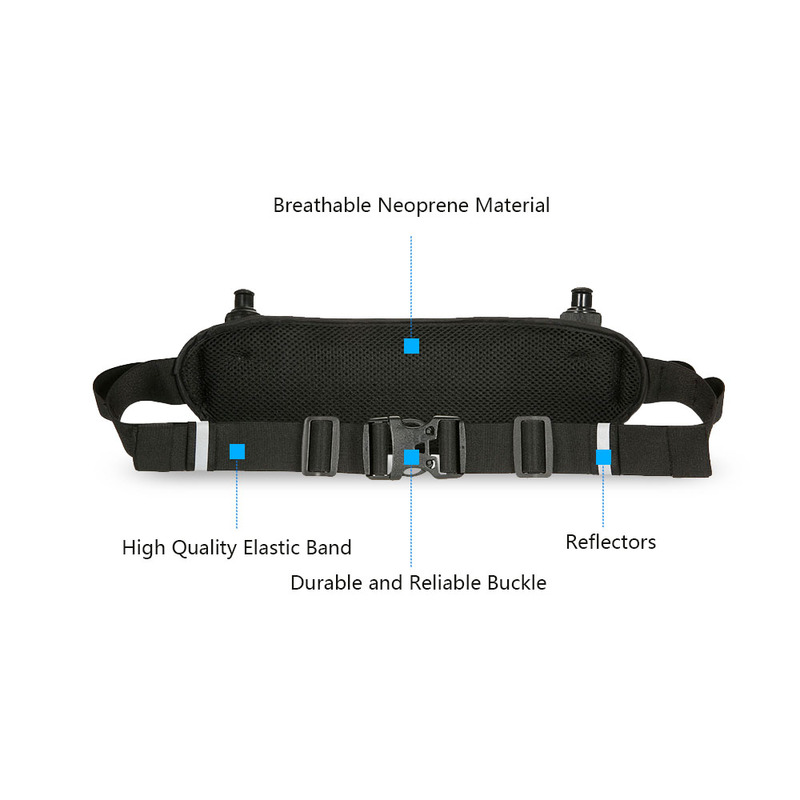 It is made of premium quality neoprene material with mesh back to make you comfortable and cool. 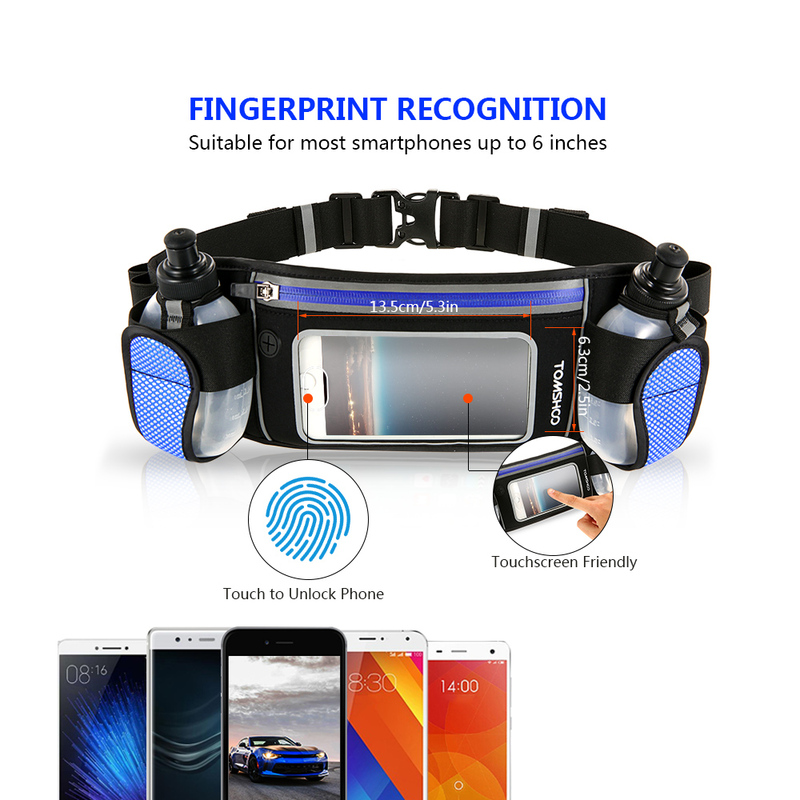 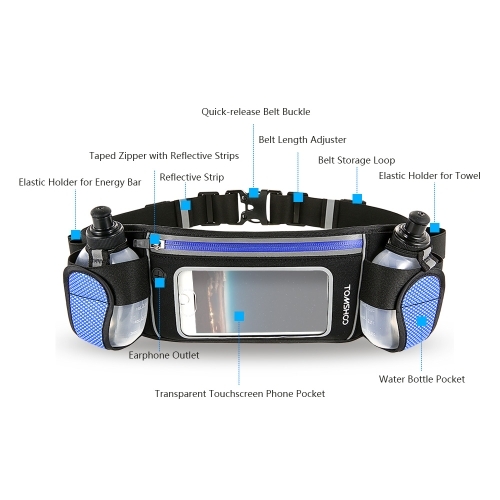 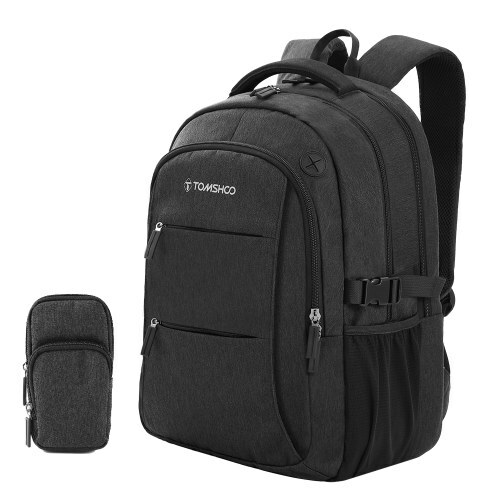 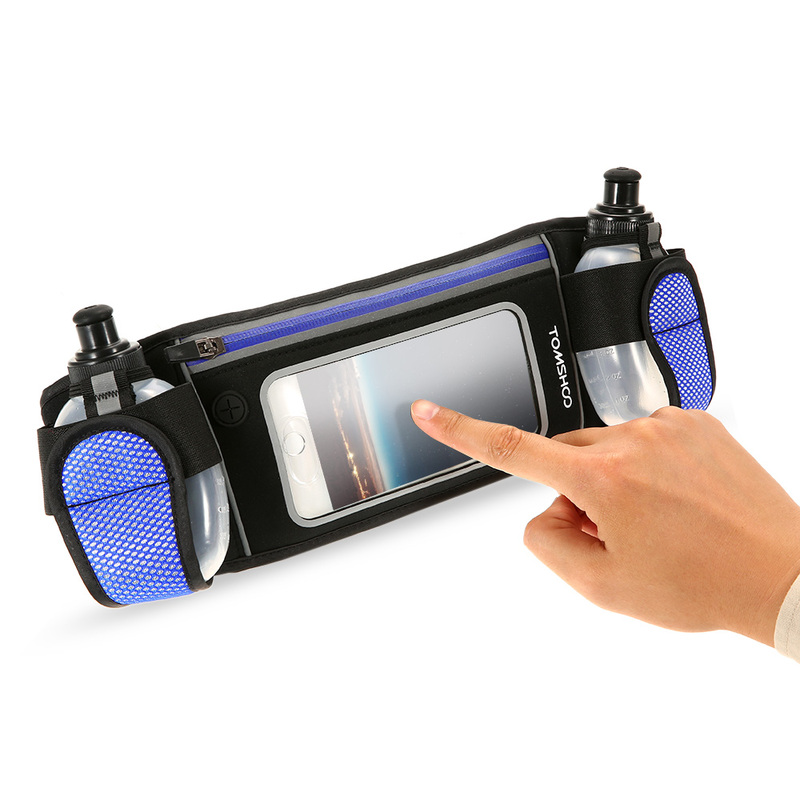 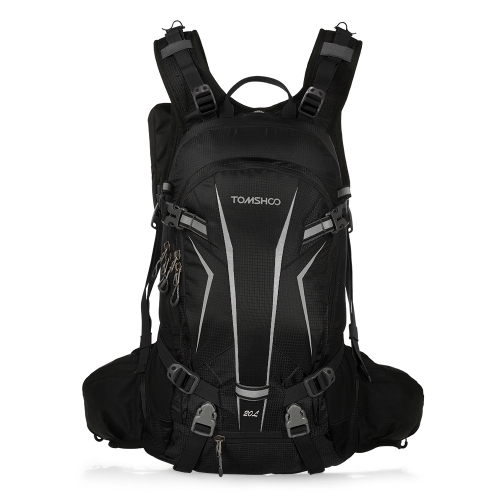 With Touchscreen Control Pocket for smartphones up to 6 inches, 2 Bonus Water Bottles to keep you hydrated during running, Adjustable Strap with Loop to customize for your waist size, Reflective Strips for improved safety at night, this waist pack will absolutely guarantee you a enjoyable and joyful running experience. Ultralight and Comfortable: Crafted from neoprene material, this running belt is water-repellent and tear resistant and weighs so light at only 5oz that won't add any burden to your running. The breathable mesh back improves the air flow and keeps you cool and comfortable without chafing on your skin. 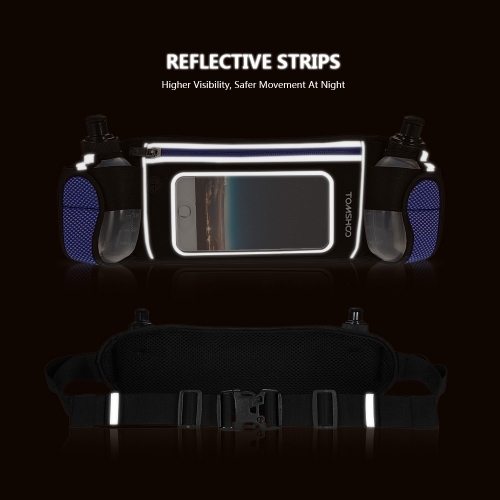 Touchscreen Control: Spacious zippered pocket with transparent touchscreen window fits smart phones up to 6 inch, allowing you to unlock or use your smartphone conveniently. 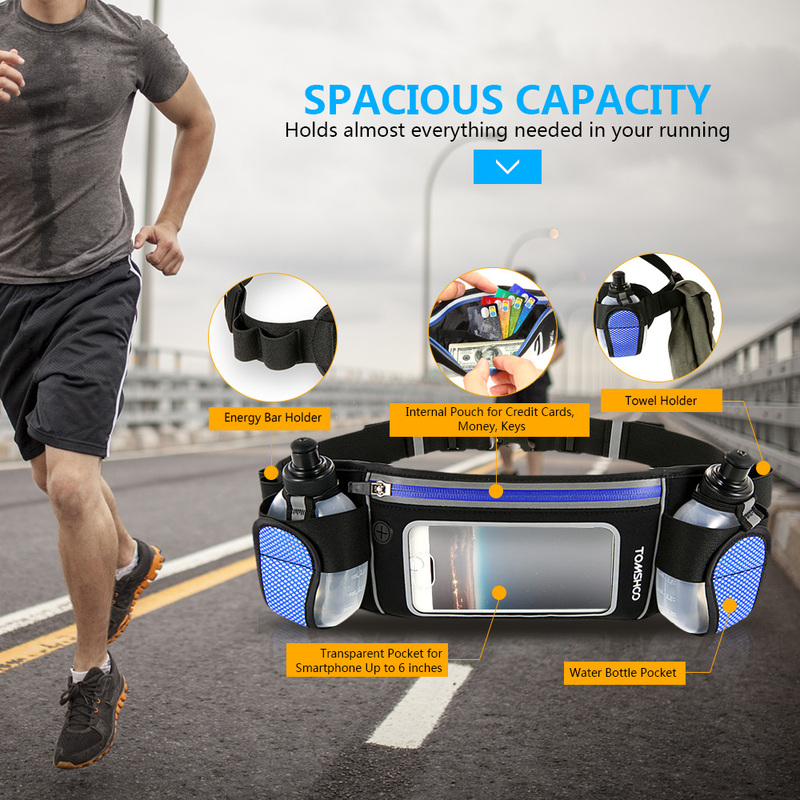 The hole for headphone cable enables you to enjoy music while running. 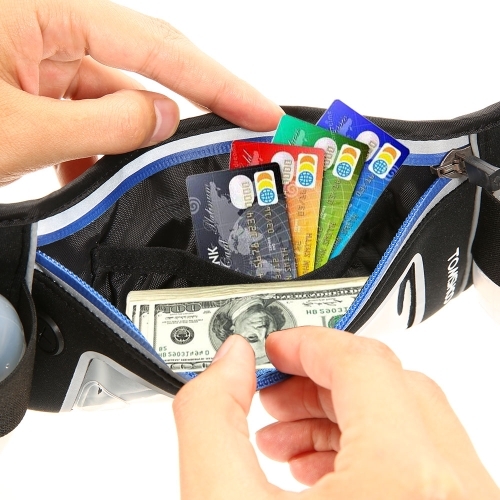 The separate inner pocket keep your keys, changes and credit cards organized and prevents your phone from being scratched. 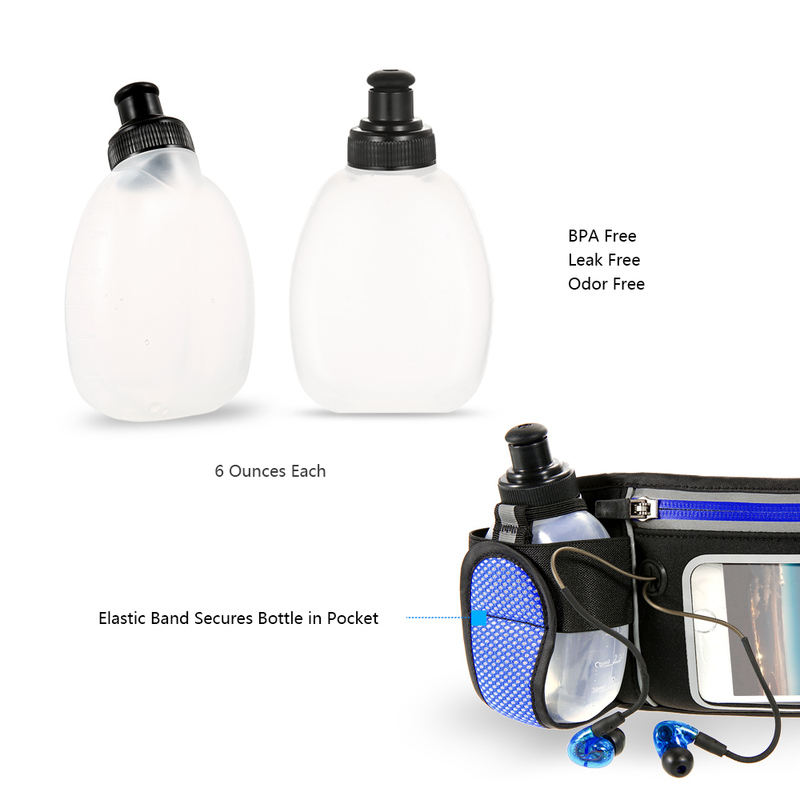 Stay Hydrated: As a bonus gift, we supply two water bottles at 6 oz per bottle, so you'll have enough water for short to medium distance runs. 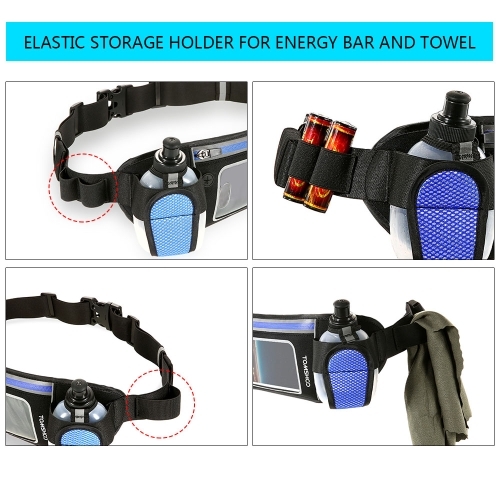 The elastic band secures the bottle in place, easily accessible and won't spring out of the pockets. Small holders on the strap keep your energy bars and towel at hand, stay energetic all the time! 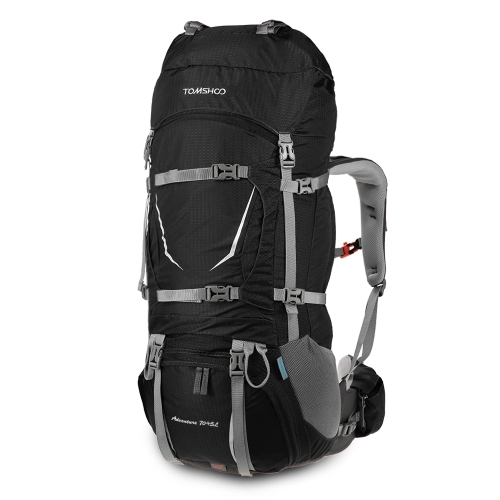 Adjustable Fit: The strap is and stretchy and fully adjustable (23.6" - 49.2") to accomodate most waist sizes. 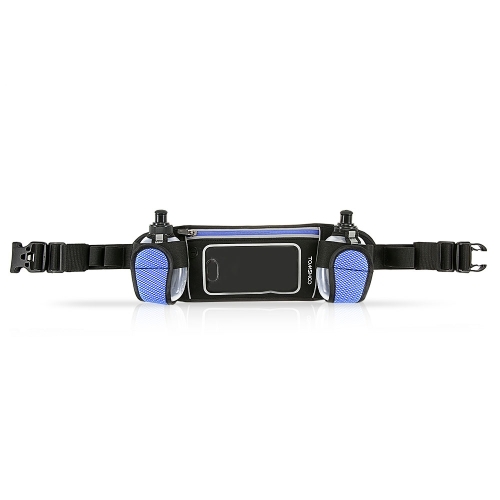 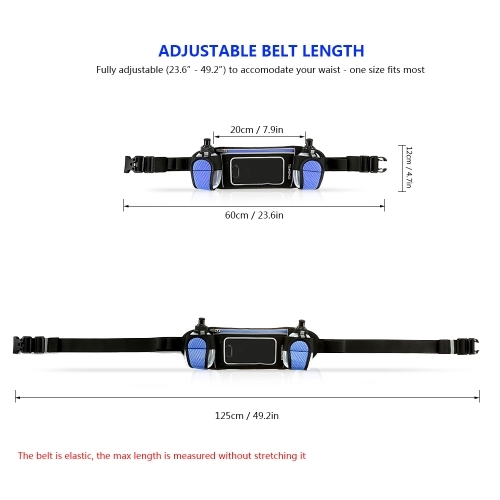 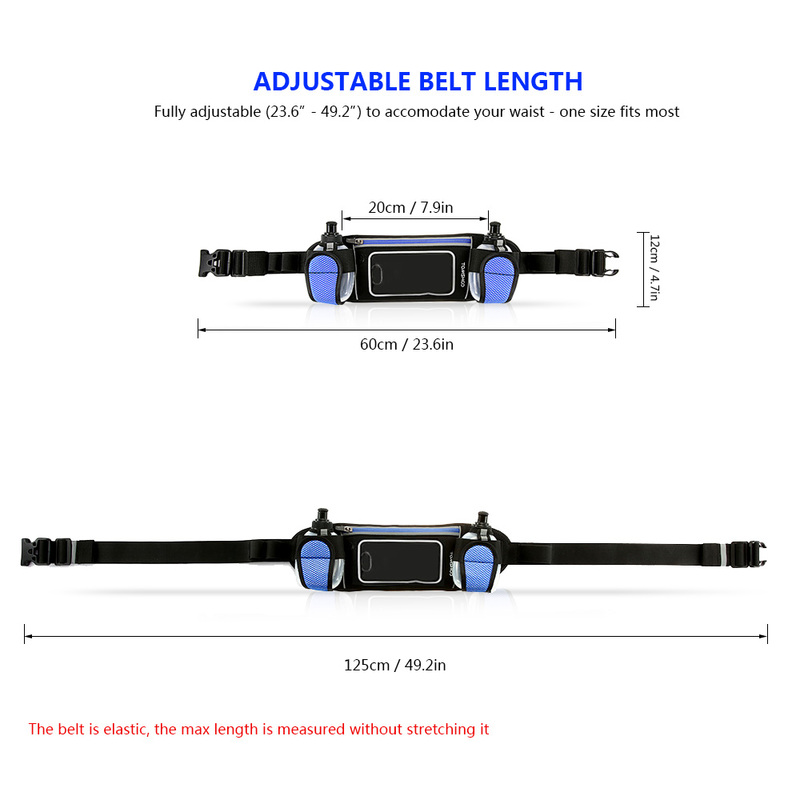 With a user-friendly loop band at both ends of the waist strap, which allows you to roll up the unnecessary part, the belt is perfectly customed to your own size, no more inconvenience caused by redundant swaying straps! Safer At Night: The reflective strips around the running belt are designed to enhance visibility in low-light conditions, making your night activities much safer! Perfect choice for cycling, jogging, dog walking, running, hiking, camping.